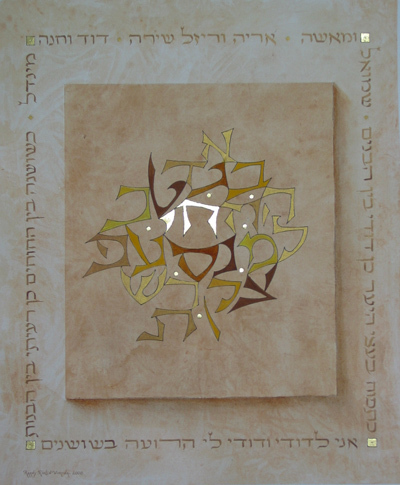 Wedding GiftThe Hebrew Alef Beth with the Chai in the middle made with 23K Gold Leaf . Around the main design is a frame with the names of the family members and a verse from "Song of Songs". Four Gold Leaf diamonds are accenting the four corners of the artwork. Paper: 300 lbs decorated by the Artist.